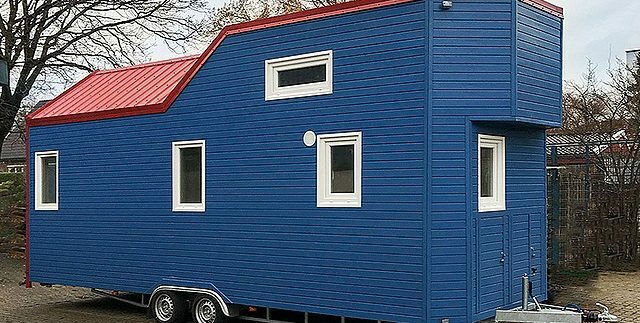 There are many advantages of Tiny Houses including lower costs, being more environmentally friendly and the ability to travel with a house in tow. The biggest drawback cited by tiny home owners is space. Space needs to be used creatively and that is of high importance when your family includes pets and/or children. Planning and designing for space allow you to have room for everyone. Spend some time looking at tiny houses in person if possible or online. Think about the needs of your family. Where are you going to put everyone’s necessities? Many tiny home builders allow for custom modifications or you can design and build a tiny home yourself. Cats like to be up high and look down on the rest of us. Plan areas such as a catwalk between lofts or on top of cabinets. A high cabinet with the door removed can make an excellent cat hideaway. 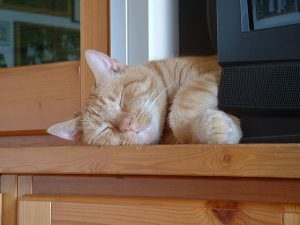 The biggest need with a cat is where to put the litter box so that the cat has privacy and you don’t have a mess. Place a litter box in a small cupboard with a round hole for them to go in and out at will. Out of sight and contained. Another good place for the cat box is in the bathroom under the sink. The bathroom has the advantage of having an exhaust fan to rid the room of odors. Cats also enjoy the opportunity to explore. Your cat may or may not want to be walked on a leash. If not an outside cat playpen or catio may be a good outdoor option. In some ways, dogs have fewer needs than cats. 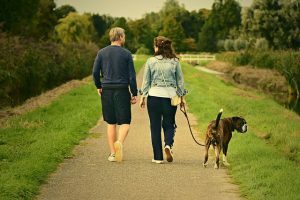 However, depending on your dogs breed they may take up a lot more space. Dogs need a space for a dog bed or are allowed to sleep on a downstairs bunk or sofa. Using outdoor fabric on this furniture will make your life easier. A sleeping space can also be carved out of a recessed under the stairs. Where to put your pets food and water dishes can present a problem. Dogs, in particular, are often very messy drinkers. Placing the food and water in recessed areas – like built into the end of a cabinet or counter – can help keep things neater. Your pets will appreciate access to windows so they can watch the world outside. Windows also make the tiny home feel bigger and brighter. Let’s face it kids come with a lot of stuff. As they mature they also want to have their own space. Living large in a tiny house can be a great opportunity to teach your children important values. Teaching kids to make decisions on what is necessary and what is not is an important skill. 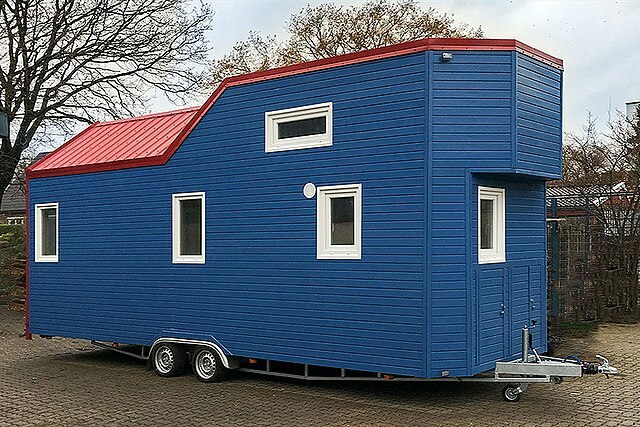 Are you moving from a regular sized home to a tiny house? Have them pretend they are packing for a long trip. What would be the most important things they would want to have with them? Teaching children the importance of being good stewards is exactly what Big Tiny founders, Adrian Chai, Dave Ng, and Jeff Yeo, wanted for their families. All three men have young children. Chai says that “Tiny houses are part of an international trend of simplifying lives by reducing the size, and therefore the resource consumption of homes without sacrificing quality of life,” What a great lesson to be teaching our children. Another benefit of raising children in a tiny home is more family time. With less cumbersome household chores and fewer expenses, young families find they have more time to spend together. Simple activities like hiking and exploring their communities bring families closer together. Get creative with beds. Bunks can be built into the walls and have curtains to give children a private space. Railings on loft areas and stairs are an important decision if you have toddlers. Children enjoy play dates. Large indoor parties are obviously out of the question in a tiny home. But don’t forget outdoor space. Parties that incorporate old fashioned games of tag and breaking a pinata are more fun outside. Teenagers enjoy having some space to their own. A loft with a half wall can work to give them some privacy. In addition, some families build a guest house (another tiny house) that can be used for when teenagers need some space or have a friend over. Get creative with outside space. A porch is a great way to extend your living space if you are parked in one spot. If your tiny home is on the move it may be worthwhile to carry outdoor furniture and a barbecue to extend your living space. 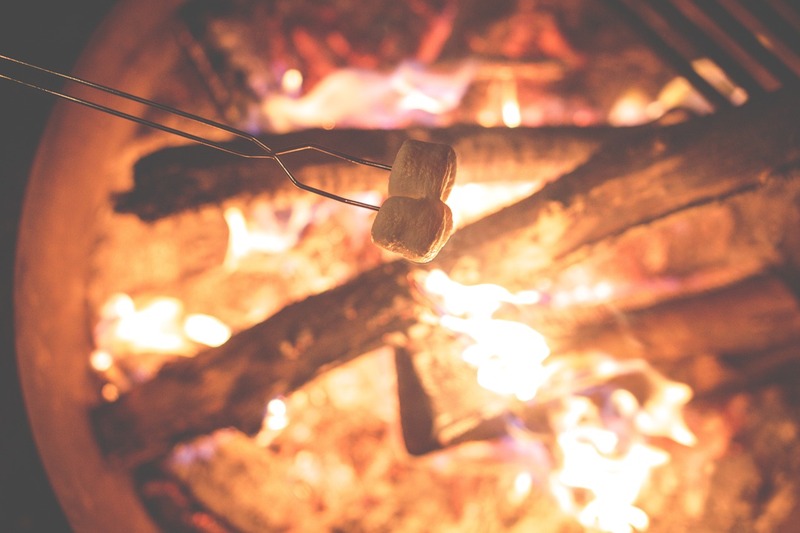 Older children will appreciate a fire pit where they can roast marshmallows, sing camp songs or tell scary stories. Author, Ame Vanorio is a big fan of living tiny. She lives in an 860 sq ft “green” cabin that she and her son built themselves. Ame is a freelance writer who specializes in environmental issues and sustainability.